A San Antonio family is searching for a teen they say went missing after she brought a trash can outside. 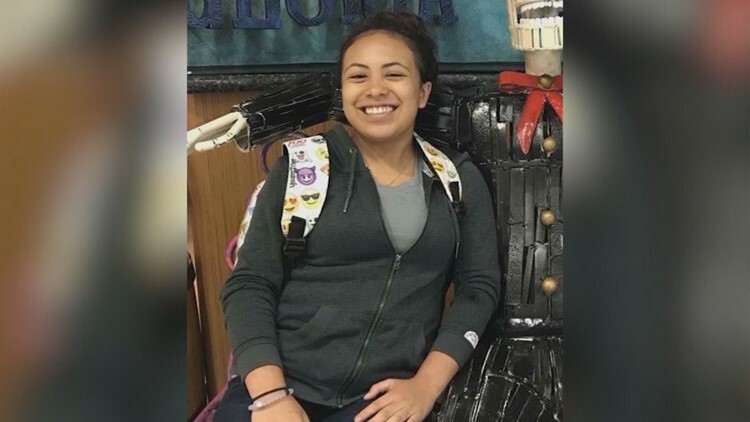 Benjamin Martinez says his 14-year-old daughter, Allana Martinez, went missing on August 3 near the 11000 block of Perrin Beitel Road. Martinez says that his daughter never made it all the way down the steps. He said that her cousin and brother, who were playing video games, noticed that she never came back and went to look for her. "They realized she’d been gone to look so they went all the way around the block and around the apartments," Martinez recalled. Her family says that nothing like this has ever happened to them before. They say there has been one possible sighting since, with a white man in his 60’s near Thousand Oaks and Wetmore. But there's not much else to go on. The family says that she was last seen in a red tank top and dark shorts, and has brown eyes and curly brown hair. "She really loves to braid her hair, so if you see my little Mexican girl with her hairs braided, call it in, let somebody know," Martinez said. 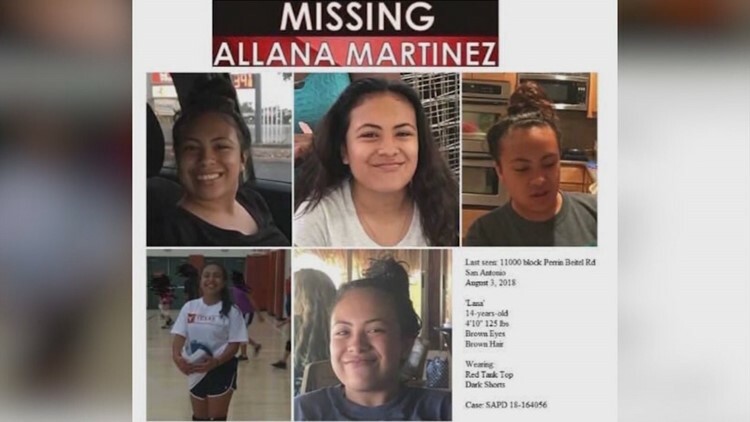 If you have information about Allana Martinez, you’re urged to call San Antonio police at 210-207-7660 or the Martinez family at 830-928-0334.